Hope all is well in your Crafting World. 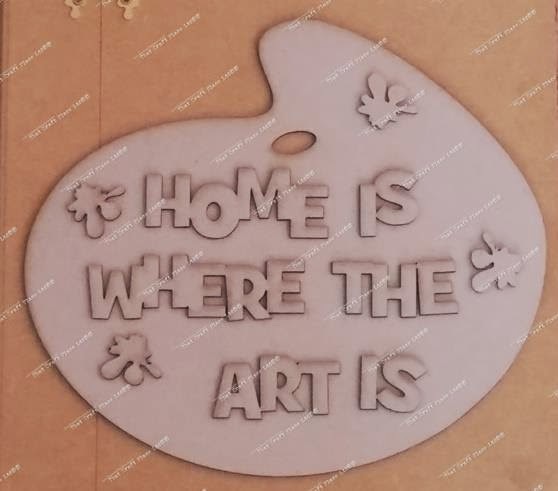 I only wanted the word "Art" & some extra Splats so Lisa the owner from That Craft Place Ltd was happy to cut just that for me as this is her own design & will cut just about anything you want. I started by sealing the grey board with Gesso. Next i applied texture paste through stencils and left to dry. Once dry i used my Deco Art Spray Paints. But guess what i wasn't happy with it so i left it for a few weeks & came back to it with a new idea!! I painted it all Black & Sprayed a little Dylusions Sprays in green & pink. Next i applied acrylic paints in various colours by dry brushing it over the texture parts. Next i used Alt Gold in similar colours to the paint, i applied this with my finger so it didn't go onto the other colours. Then buffed it with a cloth to make it shimmer & shine. Hope i haven't bore you too much with all the photo's. Pop over to the That Craft Place Blog to see what the rest of the amazing design team have for you. Wow wow wow wowwwwwwwwwwwwwwww!!!!! Thanks for playing along with Frosted Designs!!! This is so beautiful, fabulous piece of artwork! 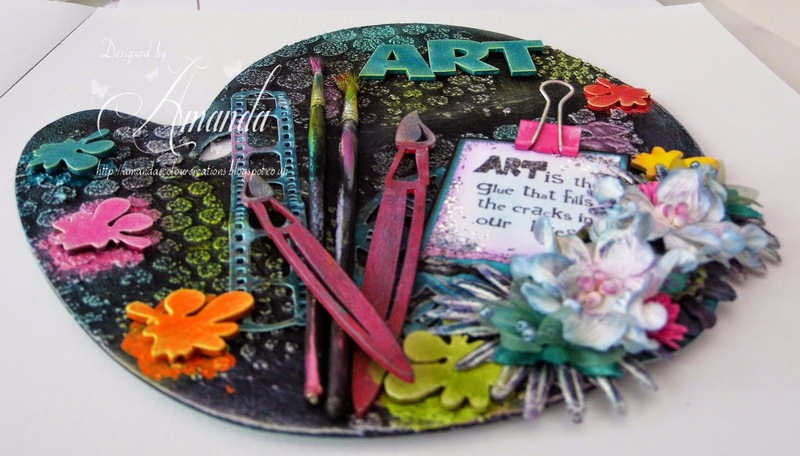 Thanks for sharing in Open Minded Crafting Fun Challenge. Wow! This is a fabulous creation! 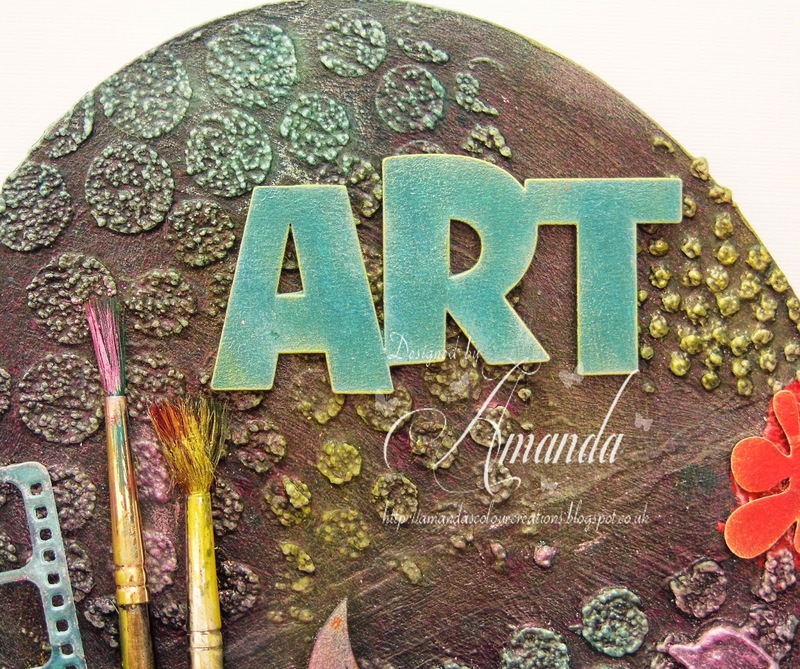 Love the texture and colors and all the thought you put behind it. So cool that you added real brushes too. Thanks for joining us at LOC this week. What a great project! The work you put into this is awesome! Thanks for joining us at Open-Minded Crafting Fun Challenges! Wau, this is so cool, love the different textures and fab embellishments. Thank you for joining Left of Center 73th challenge, hope to see you joining our next one too. This is really really cool, love the way you show use the steps you have made! WOW! This is amazing!!! 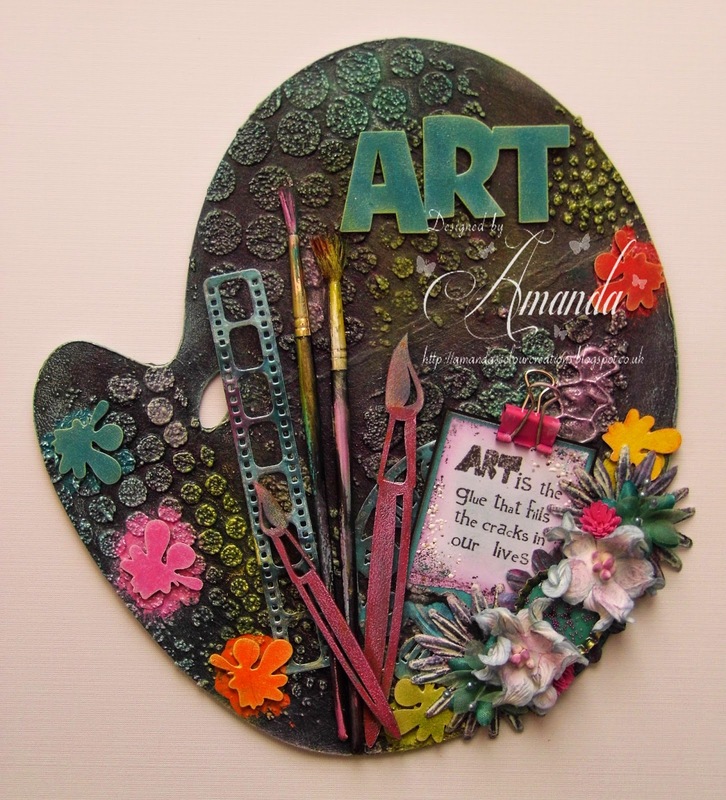 I love the layers, colors and overall design- so creative. Thanks for joining us at Frosted Designs! 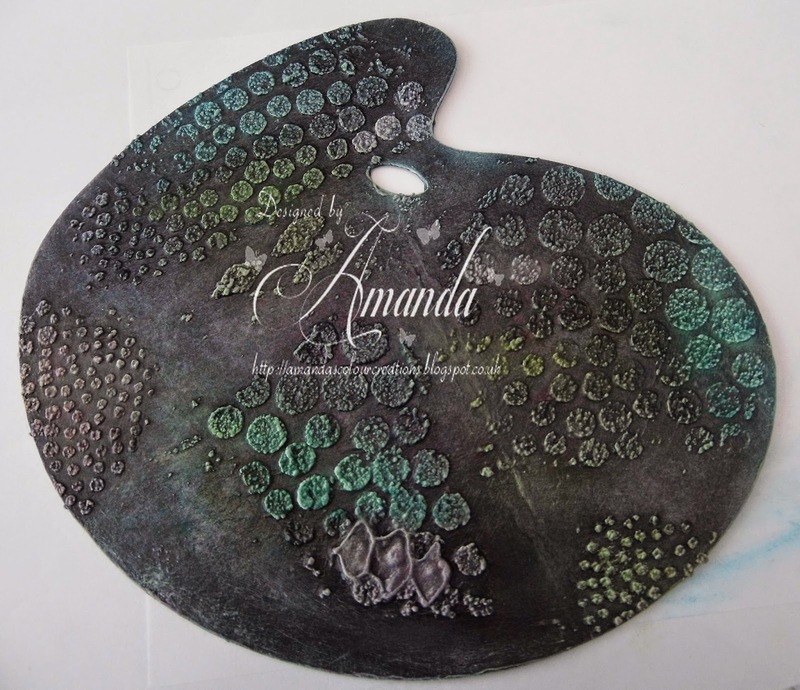 GORGEOUS splatter project for the Frosted Designs Challenge...thanks for playing along! WOW! This is gorgeous! Thanks for sharing with Simply Papercraft! Brilliant! I love this creation! Just so fabulous! Thanks for playing along with us at The Corrosive Challenge Blog! Hugs! Stunning piece of art! 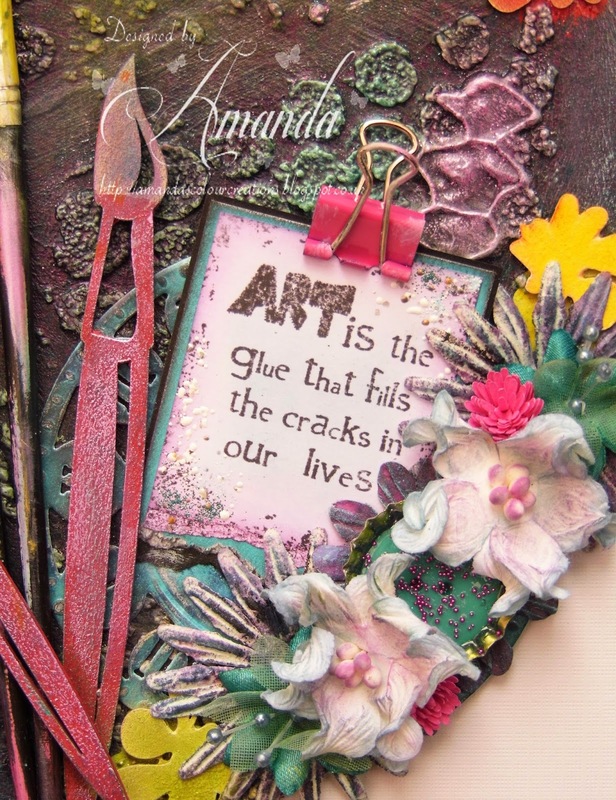 I love the colours and all the various items you've used in this. Great use for old paint brushes too. :) Thanks for joining Open-Minded Crafting Fun Challenge and Good Luck! Hope to see you back again soon.